Teams consist of four members with a $500 entry fee. Individuals can register for $125 and will be grouped into teams at the tournament. The event is a full scramble format with team scoring and a shotgun start. Take part in fun contests such as the putting contest, closest to the pin and longest drive awards, and hole-in-one opportunities. Walmart is sponsoring a $10,000 shopping spree and Perry-Ellis Kia is providing a new vehicle for a lucky golfer. In addition to playing in the tournament at the prestigious Crown Colony Golf Course, golfers will receive a voucher good for another round of golf for FREE! Crown Colony is giving away a golf game to each participant of the Tee It Up for Teachers Golf Tournament. 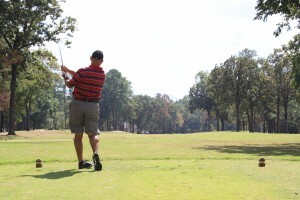 Dedicated to improving access to education, Tee It Up for Teachers raises funds and provides scholarships to teachers employed at any of the six Angelina County independent school districts. Teachers wishing to continue their education by pursuing a Master’s Degree in Education are eligible to apply. Lunch is provided and refreshments are available on the course throughout the day. The registration deadline is Wednesday, June 6th at 5pm. “The tournament would not be possible without our sponsors and we want to give them a special thank you,” Huffman added. Presenting Sponsor – anonymous; Golf Towel Sponsor- Huntington State Bank; Hole-In-One Sponsors – Walmart and Perry-Ellis Kia; and Hole Sponsors – Allen Loggins & Sons, Angelina Construction, Inc., Best Buy, East Texas Professional Credit Union, Forestar Real Estate Group, Haglund Law Firm, P.C., Moore Building Associates, and The Advanced Financial Group. For more information about this event, please contact Melissa Wheeler at 936-634-6644 or mwheeler@lufkintexas.org or visit us on our website at www.lufkintexas.org. 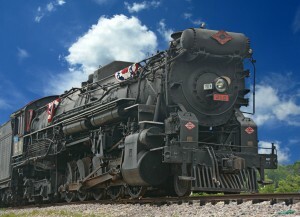 Palestine, Texas- The Texas State Railroad has received a commitment from Texas Governor Greg Abbott to ride its upcoming Legislative Train. This special event will occur on Saturday, September 12. October is a busy month at the Texas! “The Robin Hood Caper” opens Friday, October 19, then the following day auditions for the next two shows will kick off. Have you ever wanted to be on stage? There is no time like the present to join the Palestine Community Theatre family!